It's a new month, which means it's also time to announce our new Magpie of the Month! 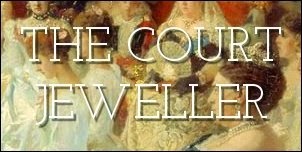 This July, we're looking at the beautiful jewels worn by one of my favorite royal ladies, Crown Princess Victoria of Sweden. Let's kick things off with a look at a tiara that has become closely associated with her: the Baden Fringe Tiara. One of the sparkliest fringe tiaras in the business, the Baden Fringe Tiara has actually been historically associated with two royal Swedish Victorias. 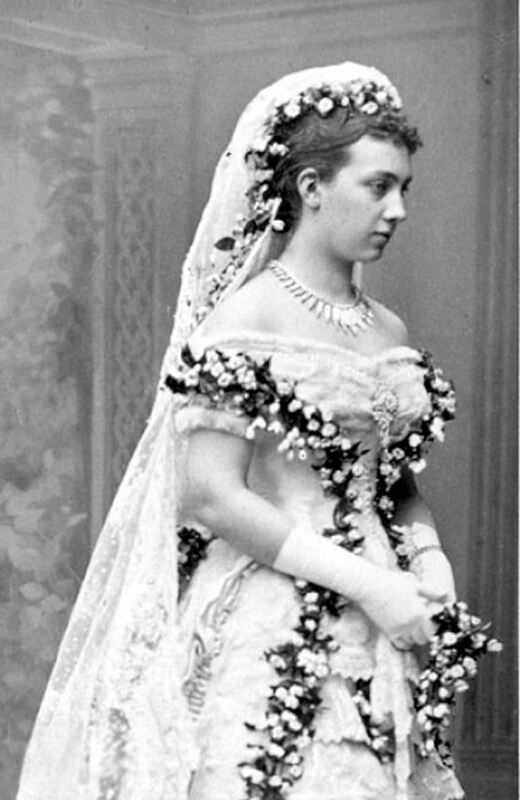 The first was Princess Victoria of Baden, who received the tiara from her parents, Grand Duke Frederick I and Grand Duchess Louise of Baden, when she married King Gustav V of Sweden in 1881. The lovely piece is made up of diamond sunray motifs (which is why it is sometimes called the “Sunray Tiara”) mounted on a frame. When it is detached, it can also be worn as a necklace -- which is how Victoria wore the piece on her wedding day, as you can see in the bridal portrait above. Some claim that this piece is designated only to be worn by Swedish crown princesses, but that doesn't actually seem to be the case, as it has been worn by many women in the family, including Crown Princess Margaretha, Queen Louise, Princess Lilian, Queen Silvia, Princess Margaretha, and Princess Birgitta. Today, its primary wearer is Crown Princess Victoria, who often sports the sparkler at events like the annual presentation of the Nobel prizes. She selected the tiara for her official engagement portraits, and she's so linked to the sparkler that when a Barbie doll was produced in her likeness, it was also wearing a miniature Baden Fringe!